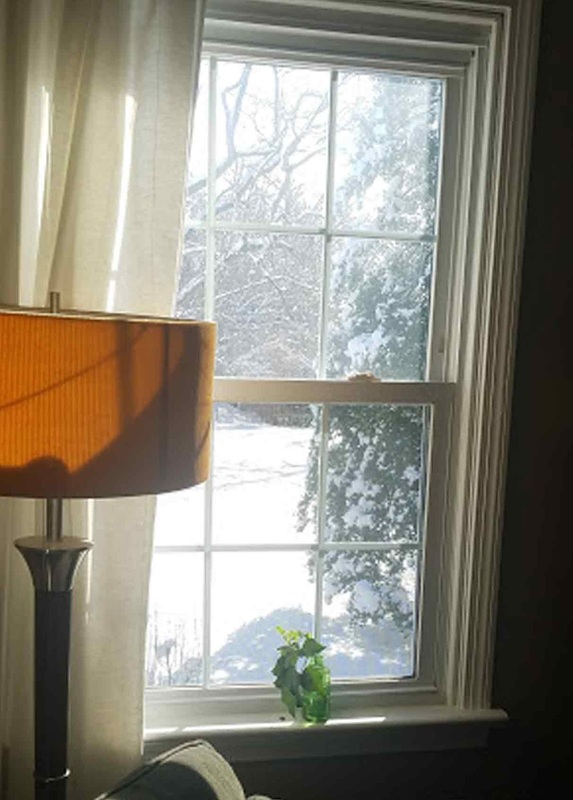 Today (March 22,2018), we woke up to a beautiful morning full of spring sunshine and snow! Snow? Yes, we finally had a snow storm that dropped enough snow for us to actually take some pictures before the spring flowers pushed it aside. We are supposed to be in spring mode right now and I have seedlings sprouting up that I will need to plant outside in a few days, but a good shot of snow was fun. 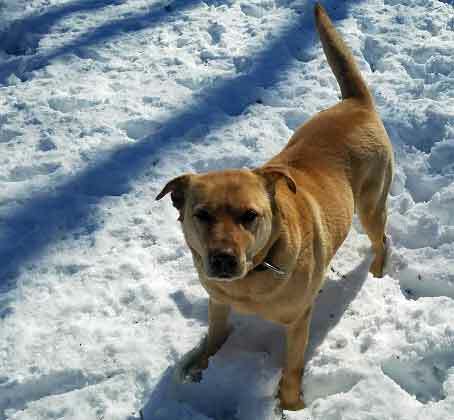 Most folks were grounded at home and we didn't sustain any damage from the heavy wet snow. Mexican marigold seedlings. I will use the leaves as a tarragon substitute. 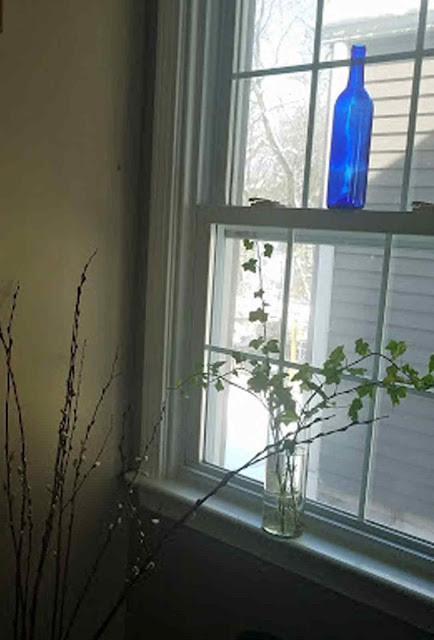 To keep myself inspired, I have been looking for plants to grow inside or outside while I wait for the weather to warm just a little more. I have transplanted by currant cuttings that rooted nicely to various spots around the yard. During one warm spell, I cut back all my elderberry bushes and then stuck all the cuttings into the ground for new plants. So far they are looking good. I planted a bed of garlic in January (I know it was late, but I think we had the required forty days of cold for bulb formation) and they are up by a good six inches. 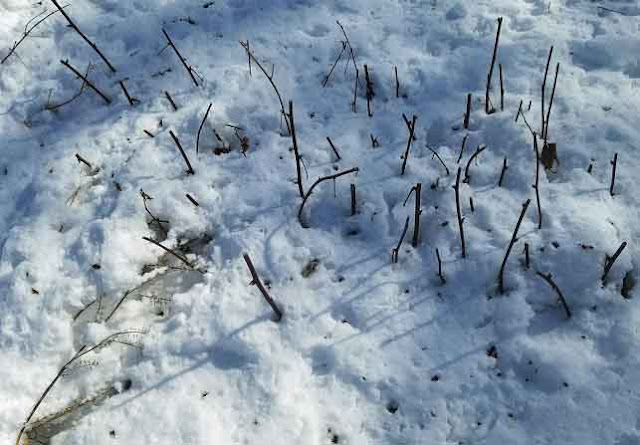 I have patch of blackberry canes, rose clippings, and fig cuttings that I am rooting for new plants this spring. 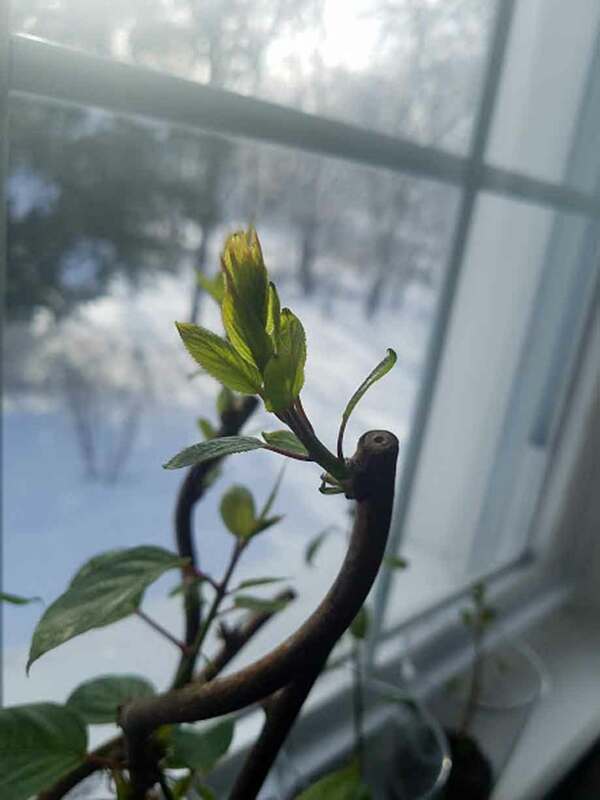 Elderberry cuttings are sprouting out leaf buds! I am experimenting with hardy kiwi cuttings. I cut six stems and stuck them in water. After about a week they started to push out vigorous growth but no roots. 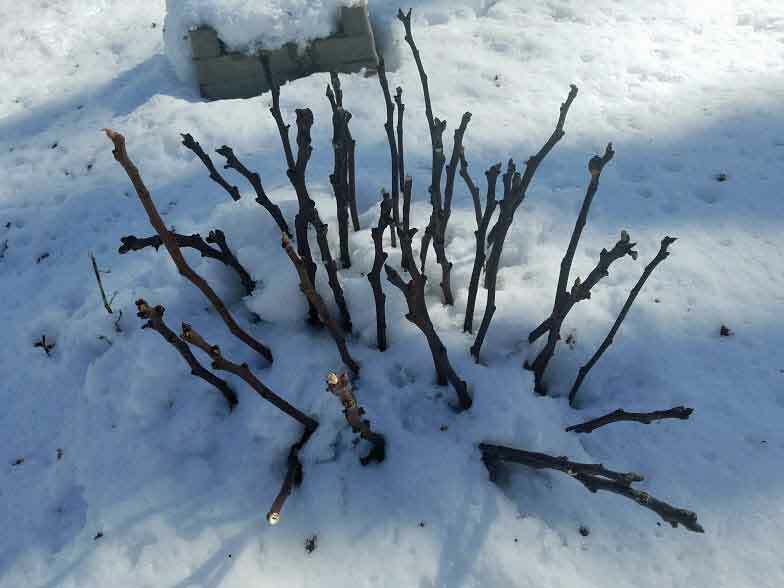 Once the shoots were about six to eight inches long, I cut them off the stem and planted them in their own jiffy pellet. I am hoping to see if they root as the hardy kiwis tend to be hard to root. My hardy kiwi cuttings are growing like crazy. Hoping for roots. 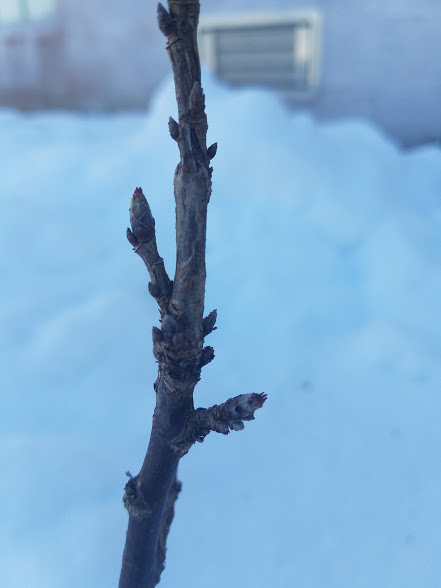 Fig cuttings are not sure they like being out in the cold. Inside I have plates of jiffy pellets growing seeds like Mexican mint marigold, German winter thyme, sage, sweet alyssum (for our bees), and lovage. I hope to add these perennials to my herb collection. Most of them have sprouted nicely. I will mention that I try to get my seeds from Johnnys in Maine, as they have a wonderful selection. However, I do have some peppers and tomatoes started from seeds I took from our salad last week. I love using sunny windows to grow cuttings in over winter. 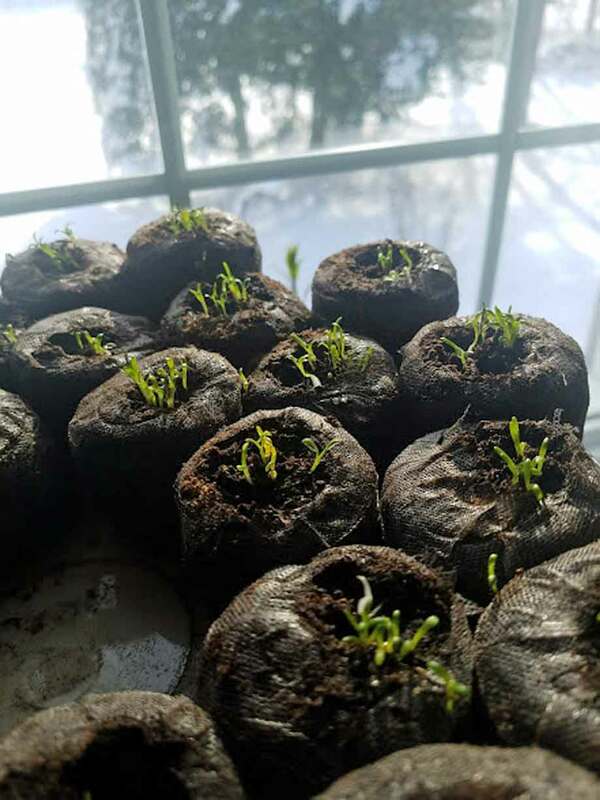 Even if the weather seems bad and I know that I am nearing the limit on my patience waiting for spring, I really look forward each day to looking over my plants and seeing progress. 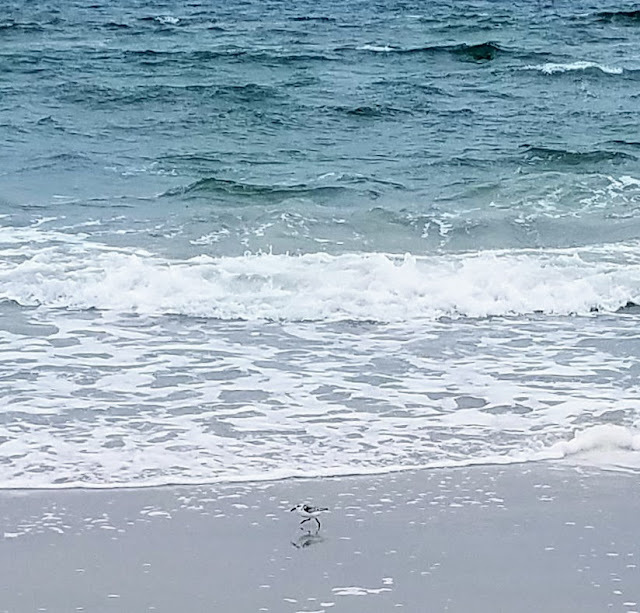 I also know that in a matter of weeks, the real heat will kick in and I will be looking for ways to cool off. We are such fickle human beings. 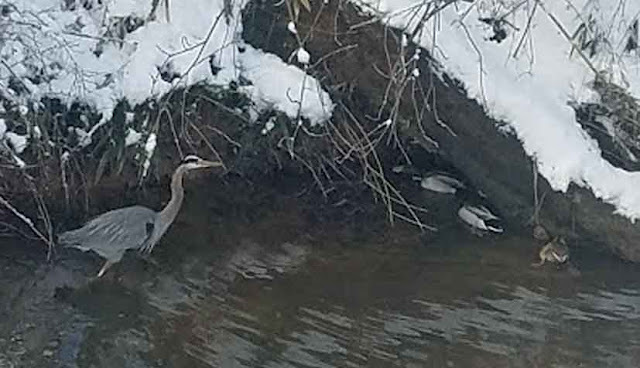 A blue heron and some mallards are enjoying the thaw in our creek. 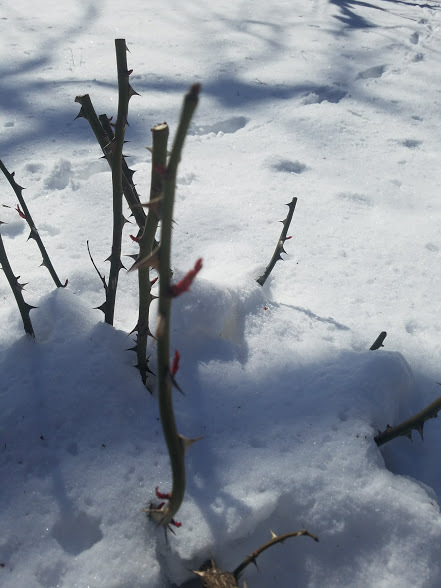 Rose cuttings are sprouting out. 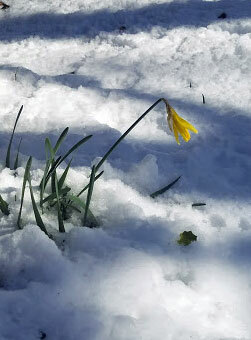 The first daffodil to open looks a little chilly. 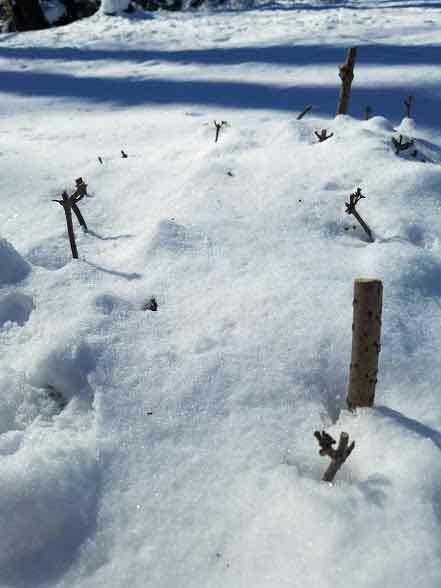 If you look closely you can see the new growth on the red currant stem. Max just wanted to play. 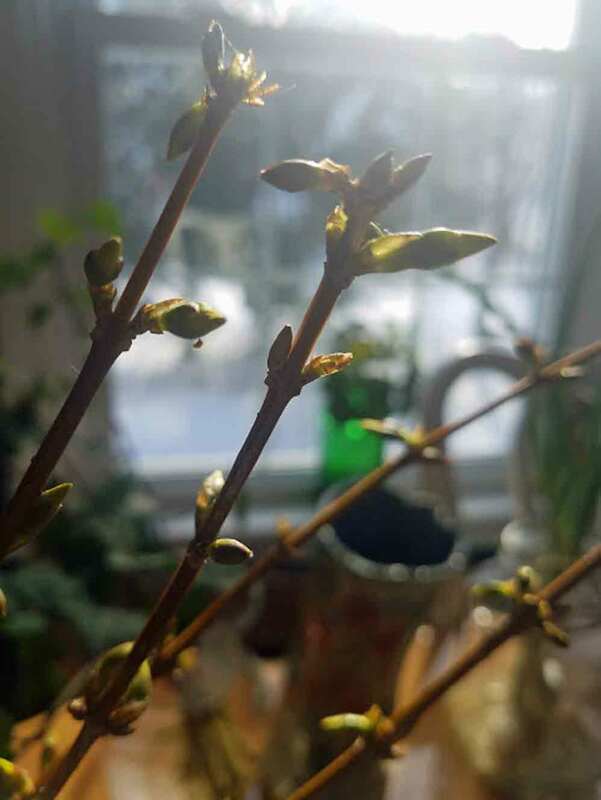 Even though forsythia are almost the first to bloom, I still am trying to get them to bloom early. So, that is a little review of what's going on here on the third day of spring. I will have to come back later and show you more of the fun plantings we have around our yard as well as some snapshots of the progress of my cuttings. Life is a fun process of experiments and learning. I hope you are enjoying yours!